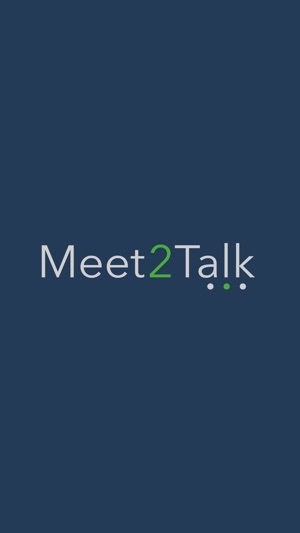 Meet2Talk helps employees and spouses with the challenges they face when moving, living and working abroad. 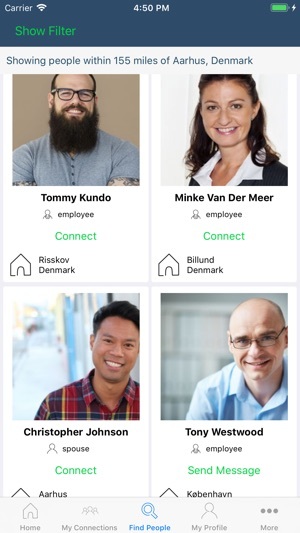 With the Meet2Talk app employees and spouses can exchange information on various locations and connect and establish a local network, together with a wide range of other useful features. 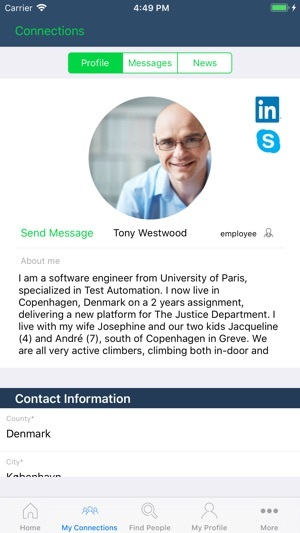 Meet2Talk enables companies to communicate directly with spouses, post company news and upload documents and information to spouses and employees worldwide. 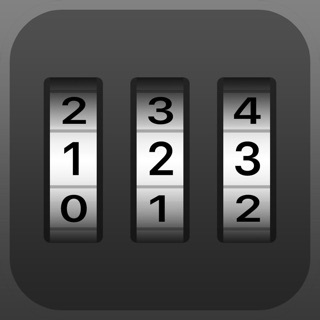 International assignments are challenging for most large and global companies. Employees lack a close collegial network and for accompanying spouses and their families, starting up a ‘new life’ is especially difficult without a network and friends. Spouses often find the lack of jobs and career opportunities frustrating and ”family issues” are often blamed as the leading cause of failed assignments. The same challenges apply for smaller companies, universities and other organisations with fewer geographical locations. They have an international workforce at their corporate headquarters, and they compete in a global market to attract and retain foreign staff, talent and experts. 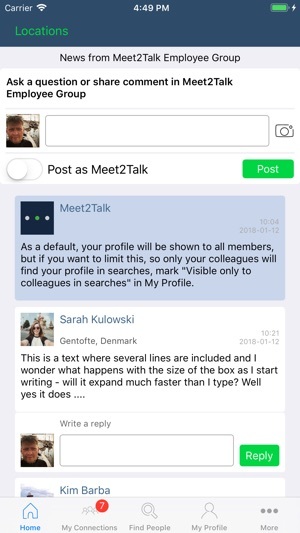 Meet2Talk is a subscription based service for companies, universities and other organisations with an international workforce, helping them support employees and their families with the challenges they face when moving, living and working abroad.